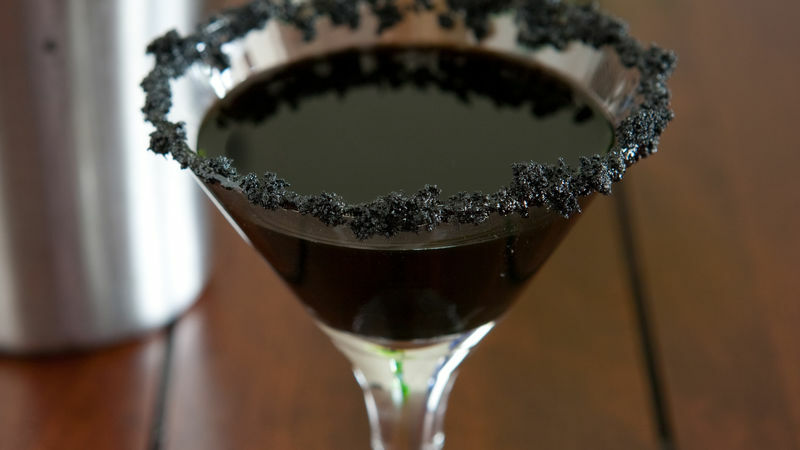 Add black rum, crème de cacao, ice and 1 or 2 drops black food color to a martini shaker. In small bowl, add brown sugar and 1 drop black food color. Mix with fork until all sugar is black. Wet rim of martini glass with water. Dip rim into sugar. Strain martini into glass, and serve. To get the sugar to stick better to the martini glass, use corn syrup or honey instead of water before dipping into black sugar.